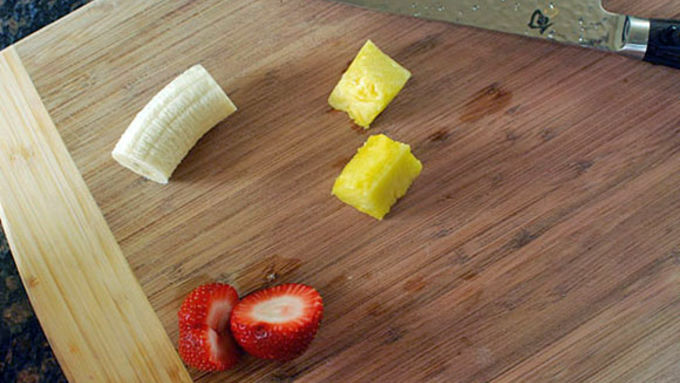 Slice your fruit into long, thin matchstick shapes so they fit well in the roll. 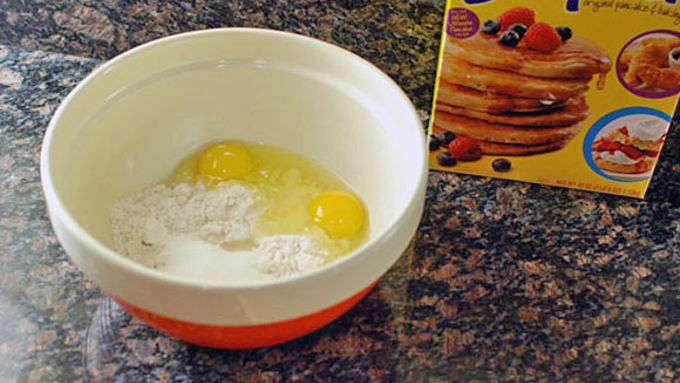 Preheat your pizzelle maker while you mix the sugar, egg, and Bisquick™. 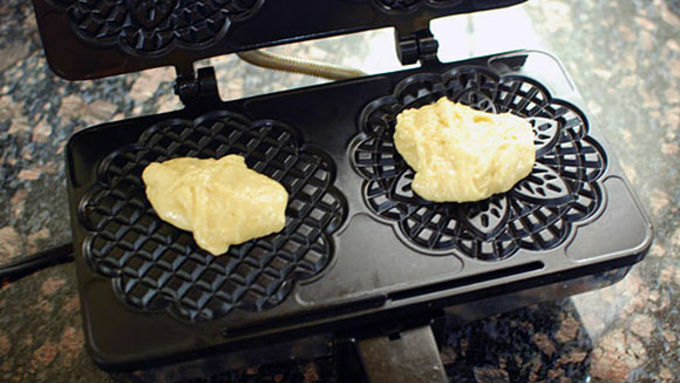 Put heaping tablespoons of dough onto the pizzelle maker for each pizelle. My pizzelle maker forms one large rectangle pizzelle when you put too much filling in, and this is actually what we want to happen here. Cook only about 30 seconds. If you cook it too long, it will firm up before you have a chance to roll it. Lay the pizzelle on to your cutting board. Spread cream cheese over it. Top with whichever fruit you want. Be careful not to overfill! Carefully wrap the pizzelle into a tube shape with the fillings in the center. Make sure the seam is sealed with a little of the cream cheese. Use a sharp knife to cut the tube into smaller rounds. Line the rounds up on a plate like sushi, and serve it with some syrup instead of soy sauce. Even though these aren't real sushi rolls made with fish and rice, they totally make up in pure fun! 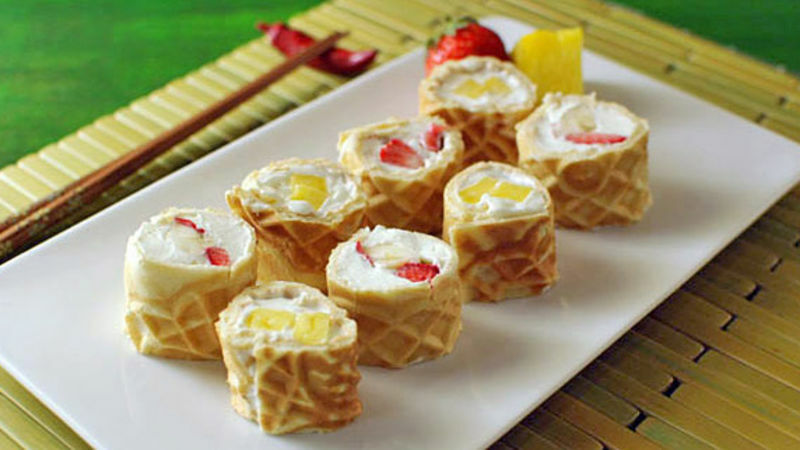 When I set out to make some sort of sushi-shaped thing with waffles, I expected it to be this daunting task that took me hours in the kitchen and would have to be propped up or faked to look good. It turned out totally opposite! These Waffle Breakfast Sushi Rolls were shockingly easy to make, and very sturdy – in fact, they were much less fragile than some sushi rolls I’ve made in the past. 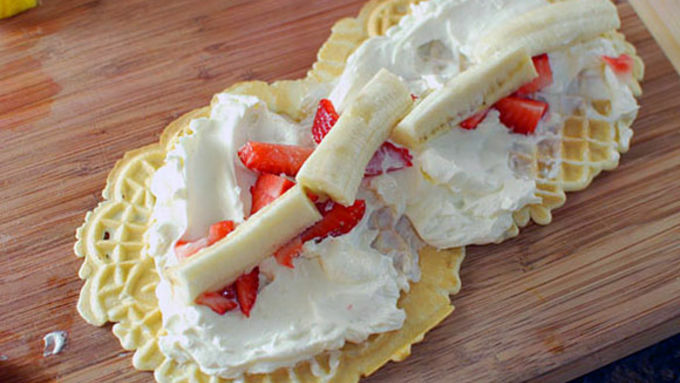 The key to the recipe was using pizzelles (instead of full-blown waffles) as the shell to hold everything together. Pizzelles are sturdy, easy to make, and even firm up after a few minutes to really keep everything together nicely. When pouring the batter be sure to overload your pizzelle maker so it comes out as one whole rectangle. I filled mine with strawberries, bananas, and pineapple, but really though, just like sushi, the possibilities are endless. Make sure you line them up to make it look like sushi. And don’t forget the syrup for dipping!